We invite you to enjoy the spectacular and exclusive surroundings of Laggan House. Your evening commences with a welcome glass of fizz followed by a fantastic three course dinner prepared with quality, local ingredients and served by the professional Ghillies Kitchen. 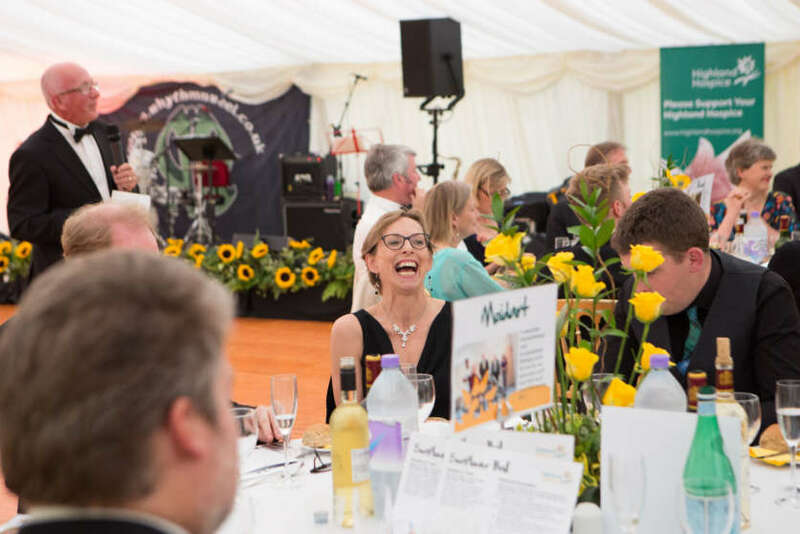 After dinner, there will be an opportunity to bid for a wide selection of exclusive items in our silent and live auctions before dancing the evening away to local band Dark Horse who will play a mix of traditional and modern music. Arrival 6.30pm for 7.00pm. Carriages 1.00am. Dress formal. Tickets are £85 per person and are available in tables of 10 are invited. To book, complete and return the booking form you can download below, or contact Jenna Hayden on j.hayden@highlandhospice.org.uk or 01463 246473.